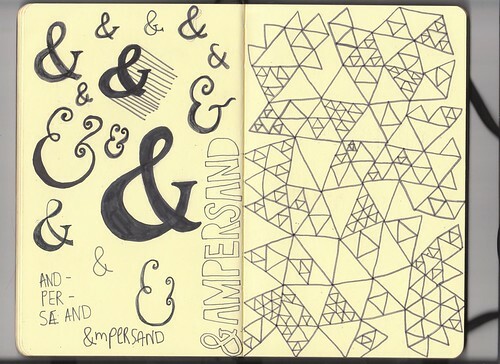 I wasnt able to draw a ampersand until earlier on this week on the train to Birmingham , my boyfriend taught me. I dont think ive stopped doing them since. Theres something about the curves and fluid-ness (is that even a word?) of it which i adore. More moleskine stuff on Flickr.